Over years size of software along with processing power of computers have increased considerably , i still remember the first Linux distribution i used was Red Hat Linux 5.2 came on a single CD , now RHEL or Fedora comes on a DVD or 5-6 Cd's , even Windows has grown tremendously in size , memory requirement have zoomed the latest Windows Vista requires almost 2GB of Ram and a fast processor to run flawlessly. Now here is a shocker Puppy Linux is a Linux distribution that is only 28-70 Megabytes in size and come fully featured Graphical Desktop with Web Browser , Word Processor , Download Manager , PDF Viewer , Multimedia player,DVD Ripper , Spreadsheet and ability to play audio / video files and other programs and can run on a machine as low as 166 MHz Processor and 128 MB ram without swap file and 64 MB with swap file to run . Impressed read more to see what is packed inside in Puppy Linux . According to Puppy Linux Website the goal of Puppy Linux is to create a Linux distribution that is user friendly , quick to run and include all the applications that user needs . Installing puppy Linux is not all that difficult download the ISO's from their website and burn it on a cdrom now after this boot from the cdrom on booting puppy Linux it asks a number of questions regarding Hardware Configurations , Video Card and Monitor and stuff ,after completing these steps Puppy Linux boots into impressive graphical desktop in less than a minute . You dont have to enter these information everytime you boot they can be saved on hard-disk or USB Flash memory or burned on a cd so that you dont have to enter these information everytime you boot Puppy Linux . Now i have to admit i wasn't expecting such a good graphical environment on puppy Linux considering it is only 70 Megabytes in size . The user interface was extremely responsive helped by the fact it was running entirely on RAM and it wasn't accessing data from hard disk frequently which is significantly slower than accessing data from RAM . Now Puppy Linux since aims to be a distribution for newbies so icons were very logically named write , draw , connect and other user friendly captions were provided for different programs , So that new Linux user dosen't have any problem recognizing programs which he might have not seen earlier . Now i access Internet through LAN , i had no problem installing LAN on puppy Linux it provides a very useful graphical tool for configuring Internet connection through LAN or modem . 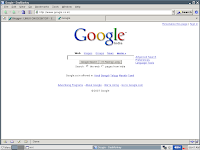 The Web Browser that is included with Puppy Linux is Sea Monkey which is based on Mozilla code base same as Mozilla Firefox. I Did not encounter any problem in using Internet through Sea Monkey most of the website rendered without any problem . 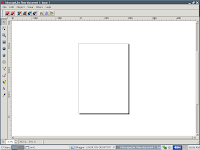 Even Macromedia/Adobe Flash Extensions was installed by default this is really wonderful packing in fully functional web browser with Macromedia flash plug in along with other applications in 70 megabytes . 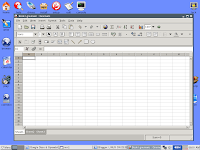 The other applications that are included with Puppy Linux are light weight alternative to popular applications and do work well on slow or moderately powerful machines , besides occupying less space .Abiword and Gnumeric are functional enough to be used for Word Processing and Spreadsheet . Another nice feature of Puppy Linux is it has nice interface for mounting various drives present on your computer you can mount different drives on your computer using it's graphical wizards . Besides this Puppy Linux provides a easy way of installing Puppy Linux on USB Flash Memory drives through graphical wizards , When you log out of puppy Linux you have a option of saving your work , modifications , setting and documents on the CD itself if it is multi session disk since puppy Linux runs entirely on RAM you can write these data on puppy Linux CD itself or you can store it on your hard disk ,USB Flash Drive . Now since Puppy Linux loads itself into RAM and runs entirely on RAM you can even take out Puppy Linux CD after booting into Puppy Linux and watch movies , listen to Audio CD or Rip DVD Video . 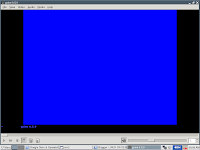 Now Gxine in Puppy Linux comes with number of codecs though w32codecs package is not installed by default so some audio/video files may not play well but most of the popular ones did play without any problem i tried playing avi,mpg ,Video CD's and other files all played well with minor adjustments . Even though Puppy Linux comes with wide array of application you can install more application from puppy's application repositories , Puppy Linux uses (.pup) files for applications and if you cannot find particular installation file you can also use debian packages for installing applications on Puppy using alien . Puppy Linux uses different file format for installing application since Puppy Linux is not based on any other Linux distribution but was created from scratch by Puppy Linux creator Barry Kauler. 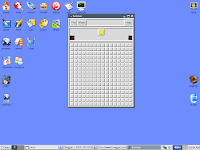 If you are feeling bored there are collection of neat games that comes with puppy linux enabling you to have fun on puppy Linux . Overall Puppy Linux is highly impressive distribution that could be especially useful on slow machines , providing a fully featured application set requiring minimal system resources. Puppy Linux is one distribution that can bring your old computer to life and make it rock . Puppy Linux is a great tool. I agree that this version is much better that the previous. It's really more user-friendly. I visited there earlier this year, It is truly incredible and is well worth the effort to see if you are in that area of eastern Europe. web site. see your later. I couldn't bring myself to buy another windows machine...Or pirate the latest version of windows to update. I made the jump to Linux by trying live CDs years ago, among them was puppy, later I got red hat, suse messed with KDE/Gnome and finally settled in the land of Ubuntu, been there for 3 versions. The latest Ubuntu was too much for my hand me down PC......so I'm back to Puppy. I've come full circle in 6 years and I'm back to puppy, the only difference is Puppy is fully installed on my hard drive and not just running in ram. Puppy was great years ago and it's only gotten better, Everything I need and I can add anything I want, Open office installed with the dictionary and spell check in working order (never did get spell check to work on open office in Ubuntu) converted anjuta to a pup install file with tgz2pet and even installed that even though Puppy was never intended to be used for programming. Anyway I love the Puppy! Thanks. Puppy Linux is REALLY awesome. I used it on my old system with Intel D845 GLLY chipset and it is has good user interface and responsive. Thanks. Puppy Linux is REALLY awesome. I used it on my old system with Intel D845 GLLY chipset and was really good with nice user interface and excellent responsiveness. chipset and was really good with nice user interface and excellent responsiveness. it cannot be compare with windows. Best in all senses! Teşekkürler. Puppy Linux REALLY awesome. Ben Intel D845 GLLY chipset eski sistem ve gerçekten güzel bir kullanıcı arayüzü ve mükemmel yanıt iyi edilerek kullanılır.